The smartphone market is currently running on two trends, first is the dual camera setup and second is the bezel-less display. Although some companies like Micromax and LG has launch devices Canvas Infinity and LG Q6 which feature bezel -less display, I still feel it will take another six months where maximum companies will come in this segment. But dual camera setup is the trend which has captured the market widely, all most all the handset makers have launched the phone with dual camera setup and some are really affordable. Samsung has also launched Galaxy Note 8 with dual camera setup but it comes in flagship range and to compete with Chinese smartphone vendors they have finally launched the budget phone featuring dual camera setup. 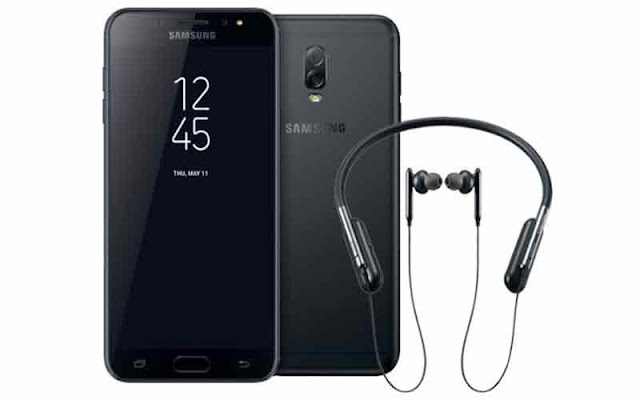 The device is named as Samsung Galaxy j7+. Samsung hasn’t spoken much about of it but the Galaxy J7+ quietly appeared on the company’s official website in Thailand. Priced at THB 12,900 which roughly translates to Rs 24,800, the device will begin to sell in Thailand starting September 25. This means the Samsung Galaxy J7+ can be expected to hit the Indian market as well soon. The Samsung Galaxy j7+ features a metal unibody design and sports a 5.5-inch Full HD AMOLED display. The phone has the company’s always-on display feature. This will enable buyers to get a quick glance at the display without having to wake up. When it comes to power, the Galaxy J7+ is powered by a MediaTek Helio P20 octa-core processor along with 4GB RAM, 32GB internal storage. It also has a microSD card support (up to 256GB). The device features a dual-camera setup, consisting of a 13-megapixel primary camera (f.17 aperture) and a 5-megapixel secondary sensor (f 1.9 aperture). The Galaxy J7+ is fueled by a 3000mAh battery and runs on Android 7.1 Nougat. The Galaxy J7+ also contains a fingerprint scanner and the popular Bixby assistant. Samsung Galaxy J7+ will be available in three color variants: Black, Gold, and Pink. Samsung has not revealed any information on the availability of the Galaxy J7+ other than Thailand.